Glucose and sucrose. 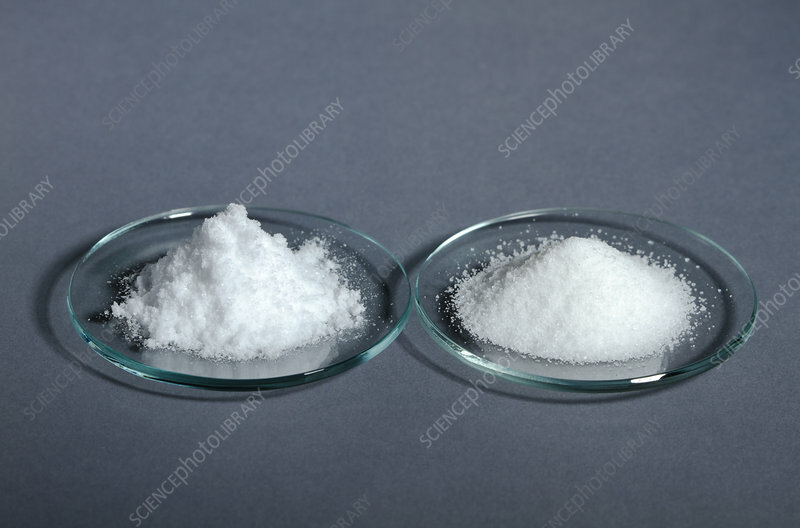 Glucose is on the left and sucrose (table sugar, made from cane) is on the right. Glucose is a monosaccharide sugar, sucrose is a disaccharide sugar.